then welcome. This website is the public face of our Academy. As part of our commitment to education and the prevention of oral health problems, we have made a range of information and educational resources freely available for your use. The information provided on this website is of a general nature and is not intended to be a substitute for personalised oral healthcare information tailored to your specific circumstances and needs, provided in a professional oral healthcare setting. If you would like to seek more detailed advice or information. you are encouraged to use the "Find a Specialist Paediatric Dentist" service on this website to find a Paediatric Dentist from within our organisation, in your local area. If there is no member in your local area, please contact your nearest dentist or other oral health care professional for advice. We would welcome any feedback or ideas for our website through the Feedback Form. of the Australasian Academy of Paediatric Dentistry, you will find a link to apply for membership. New membership applications are subject to approval by the Executive and compliance with the rules outlined in our constitution. You will be required to make a declaration of compliance during the application process, and may be required to provide additional information before your application for membership is finalised. All materials contained in the Australasian Academy of Paediatric Dentistry’s Website are intended for personal use. It is a dynamic website and is designed to be updated frequently. New, updated, or corrected information should be added frequently. While you may view and otherwise interact with the text, images, and other content (the "Content") within our sites and services, and download a copy of some of that Content for your personal non-commercial use or information, you may not reproduce, distribute, modify, display, repost or otherwise use this Content in any other way without the written consent of the Australasian Academy of Paediatric Dentistry. You acknowledge that the Australasian Academy of Paediatric Dentistry website includes in the Content, certain copyrighted materials, as well as certain trademarks and service marks, owned by the Australasian Academy of Paediatric Dentistry, including its logo. You agree not to copy, use or otherwise infringe upon these trademarks or service marks. You will not alter or remove any trademark, copyright or other notice from copies of the Content. Links may be made to the website, however links to the website may not suggest or imply that the Australasian Academy of Paediatric Dentistry endorses or supports the linking site, its sponsors and/or its advertisers, without prior written consent from the Australasian Academy of Paediatric Dentistry Executive. The Australasian Academy of Paediatric Dentistry website is provided "as is." Neither the Australasian Academy of Paediatric Dentistry, its Executive, or Members make any representations or warranties, of any kind or any nature, whether express or implied, created by law, contract or otherwise, including, without limitation, any representations or warranties of merchantability, fitness for a particular purpose, title or non-infringement. In no event shall the Australasian Academy of Paediatric Dentistry, nor any of its managers, employees, suppliers or agents be liable for any damages of any kind or nature, including, without limitation, direct, indirect, special, consequential or incidental damages or loss of profits arising from, or in connection with, the existence, operation, use or reliance of this site, regardless of whether the Australasian Academy of Paediatric Dentistry has been advised of the possibility of such damages. The material contained on the Australasian Academy of Paediatric Dentistry website is offered as information only and not as practice, financial, accounting, legal or other professional advice. Users need to consult their own professional advisors for such advice. Business decisions, including decisions about methods of dental practice, are personal choices to be made by individual paediatric dentists. 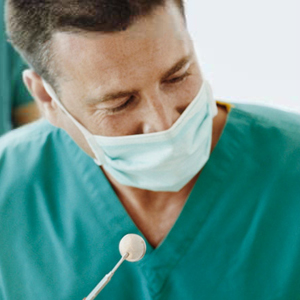 The Australasian Academy of Paediatric Dentistry does not, via the Australasian Academy of Paediatric Dentistry website or otherwise, encourage paediatric dentists to make any particular business, clinical or personal decisions on issues addressed in the site without independent advice and verification. Information on the website cannot substitute for the individual judgment brought to each clinical situation by the patient's paediatric dentist. As with all clinical reference resources, they reflect the science of paediatric dentistry at the time of their development, but they should be used with the clear understanding that continued research may result in new knowledge or recommendations. Accessing information on the Australasian Academy of Paediatric Dentistry website should be not considered a substitute for, or an alternative to, a family’s direct communication with their child’s paediatric dentist. The website does not provide clinical diagnosis or treatment recommendations, or render any opinion concerning the quality of care provided by any specific paediatric dentist to an individual patient. The Australasian Academy of Paediatric Dentistry does not intervene or mediate in communications between a patient’s family and their child’s pediatric dentist. Information about Events is provided in good faith for general information and interest only. The listing of an event on the Australasian Academy of Paediatric Dentistry website does not constitute an endorsement or recomendation of the event by the Australasian Academy of Paediatric Dentistry. Events are included on the website if they are considered by the Australasian Academy of Paediatric Dentistry Executive or the webmaster to be of possible interest to members or users of the website. Event organisers may submit details of their event to the Australasian Academy of Paediatric Dentistry via the contact links for consideration. Submission of an event does not guarantee it will be listed, and listing is at the final discretion of the Australasian Academy of Paediatric Dentistry Executive. A fee may be requested by the Australasian Academy of Paediatric Dentistry for the listing of an event on its website, and such a commercial relationship will be disclosed in the listing. It is possible that event organisers may cancel, reschedule, or modify events without the opportunity for the Australasian Academy of Paediatric Dentistry to update the event information on its website. The accuracy of information provided about individual events on the Australasian Academy of Paediatric Dentistry website is not guaranteed, and users must contact the event's organiser, contact person or event website for definitive up to date information. Unless otherwise noted, the Australasian Academy of Paediatric Dentistry does not necessarily endorse the non-AAPD resources that may appear or otherwise be referenced on the website, and makes no representation or warranties about the products or services they may provide. By linking to other websites, the Australasian Academy of Paediatric Dentistry does not endorse the policies or practices of, or opinions expressed on, those sites; nor does the Australasian Academy of Paediatric Dentistry make any representations or warranties with respect to the accuracy of any items or claims contained therein. Users are prohibited from violating or attempting to violate the security of this website, including, without limitation, (a) accessing data not intended for such user or logging into a server or account which the user is not authorized to access, (b) attempting to probe, scan or test the vulnerability of a system or network or to breach security or authentication measures without proper authorization, (c) attempting to interfere with service to any user, host or network, including, without limitation, via means of submitting a virus to the website, overloading, "flooding", "spamming", "mailbombing" or "crashing", (d) sending unsolicited e-mail, including promotions and/or advertising of products or services, or (e) forging any TCP/IP packet header or any part of the header information in any e-mail or posting. We hope you enjoy the Australasian Academy of Paediatric Dentistry’s Website! You may send comments on the above terms of service, or any other matter relating to the AAPD's presence on the World Wide Web, to info@aapd.org.au.